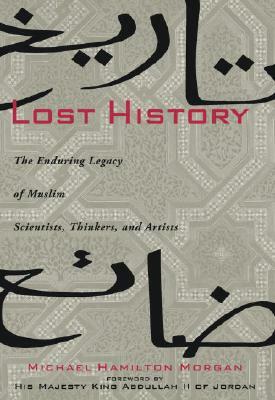 Morgan reveals how early Muslim advancements in science and culture laid the cornerstones of the European Renaissance, the Enlightenment, and modern Western society. As he chronicles the Golden Ages of Islam, beginning in A.D. 570 with the birth of Muhammed (S), and resonating today, he introduces scholars like Ibn Al-Haytham, Ibn Sina, Al-Tusi, Al-Khwarizmi, and Omar Khayyam, towering figures who revolutionized the mathematics, astronomy, and medicine of their time and paved the way for Newton, Copernicus, and many others. And he reminds us that inspired leaders from Muhammad to Suleiman the Magnificent and beyond championed religious tolerance, encouraged intellectual inquiry, and sponsored artistic, architectural, and literary works that still dazzle us with their brilliance. Lost History finally affords pioneering leaders with the proper credit and respect they so richly deserve. National Geographic (2008), English, Paperback: 320 pages.